With the sparkle of December’s festivities behind us, January always feels like the darkest, longest and coldest month to me. 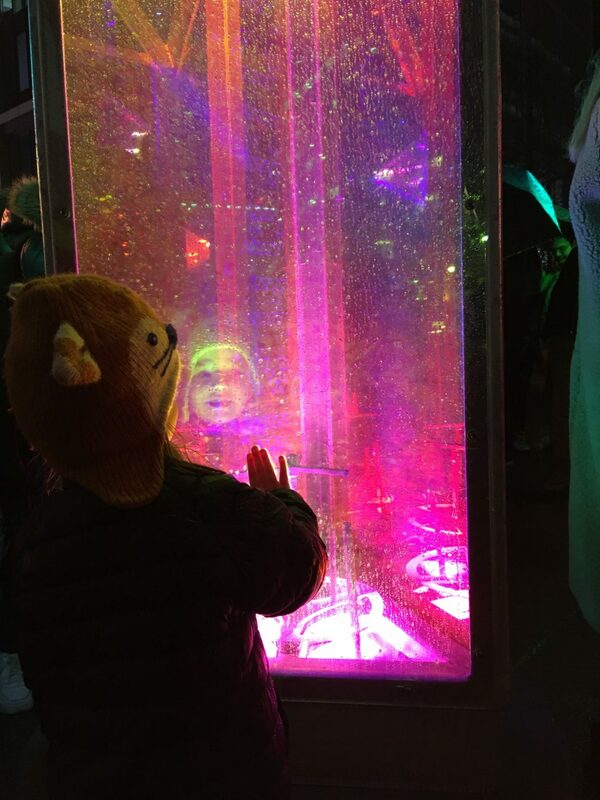 To inject some brightness into the month, I visited the Canary Wharf Winter Lights festival, which ran from 15-26 Jan and had some beautiful pieces to explore. 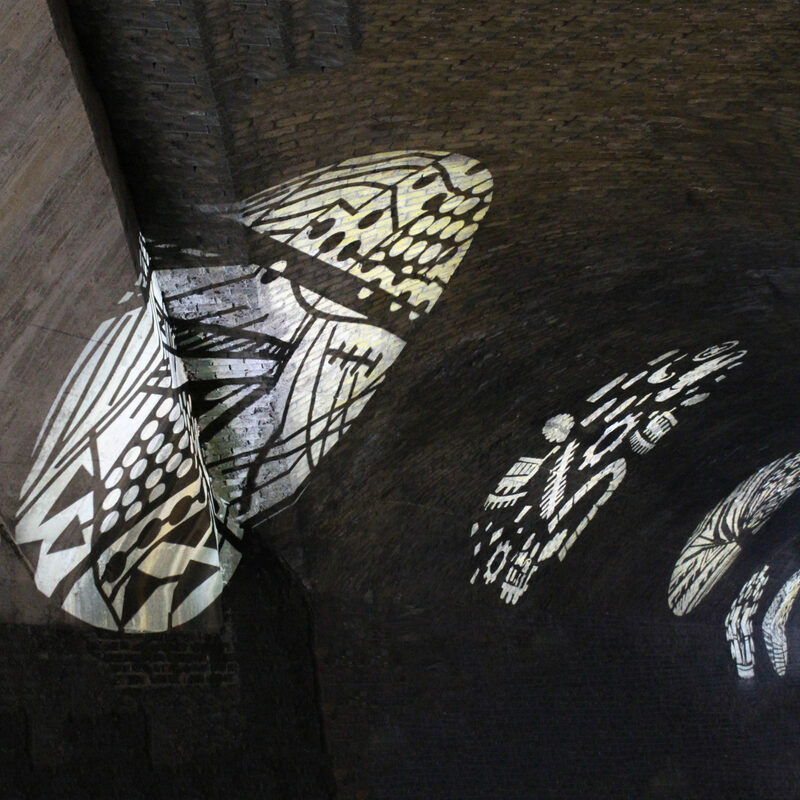 Continuing the theme, this month’s blog is about the power of lighting to transform spaces. 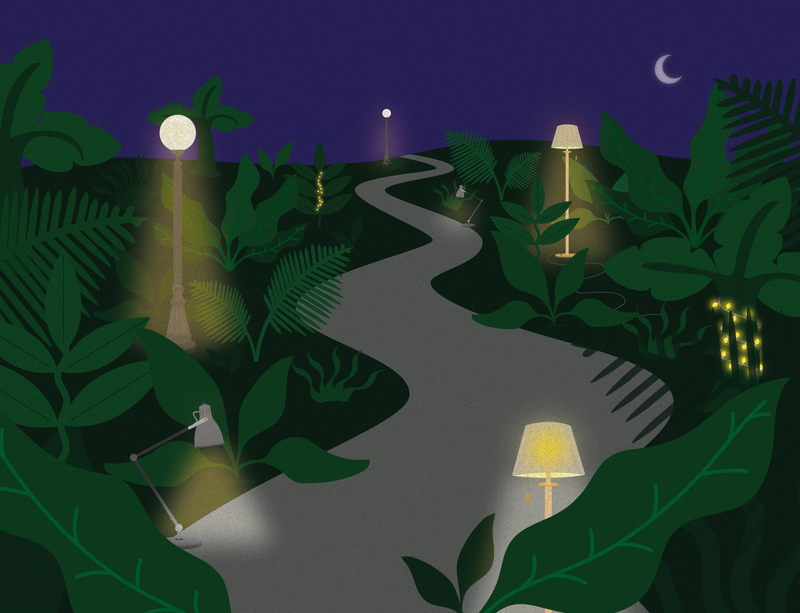 This interesting Guardian article from 2014 explores the history of street lighting, from its roots as a form of social control and crime deterrence in the 16th Century, to it’s ‘sci-fi future’ of smart lamp posts, better able to adapt to our needs and run more efficiently. 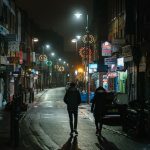 Street lighting is an extremely important way of making people feel safer and more secure in public spaces. As well as dissuading negative behaviours, it helps to extend the social life of a place, giving more opportunities for people to be together in public. 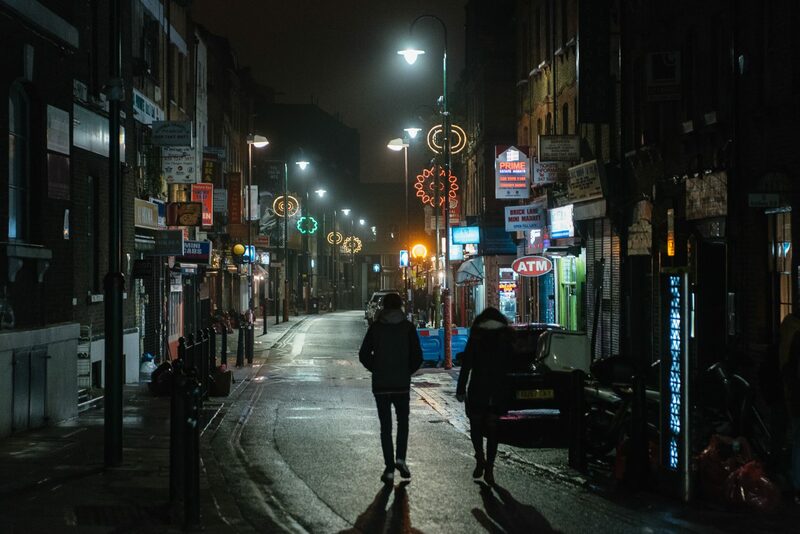 Light is one of those universal preferences – very few people (in fact, I am yet to meet anybody) would prefer our public realm to have less lighting and poorly lit pedestrian routes are a common bugbear. That being said, there are better ways of doing it than others. In an ideal scenario, lighting is something that is both practical and beautiful, able to enhance a sense of place with minimal adverse effects on the environment. Taking inspiration from elsewhere, I love the design of these beautiful lights by Mathieu Lehanneur, which are like delicate trees with domed lamps positioned to reduce light pollution and partially solar powered. 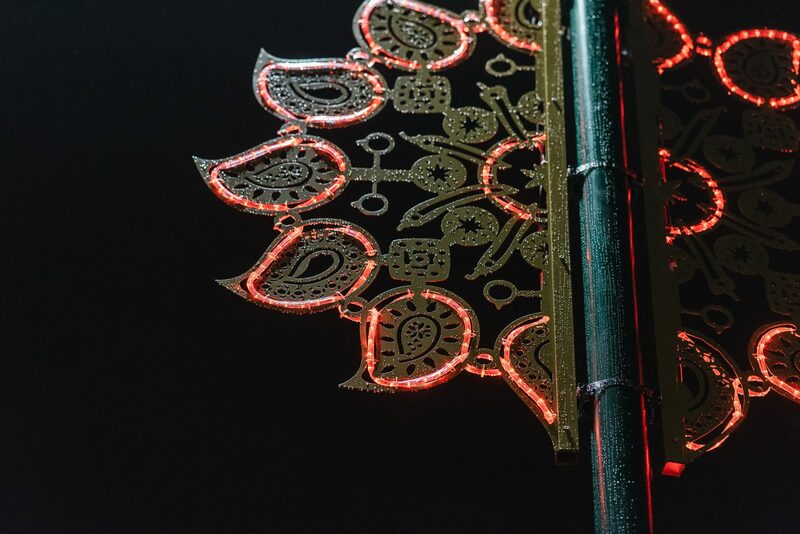 A radical (and controversial) idea came from Daan Roosegaarde, who explored the use of bio-luminescent bacteria found in jellyfish and mushrooms to create glow-in-the-dark trees that could replace street lights. 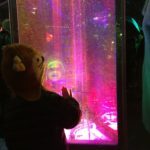 However, given strict regulations around the use of genetically-modified plants and other ethical/ environmental controversies this research raised, glow-in-the-dark trees seem like an unlikely solution for now! Closer to home, we’ve had the pleasure of working on a couple of collaborations with lighting designers Michael Grubb Studio. This project in Waterloo used historic maps to explore how much the area changed with the arrival of the railway. Local people of all ages helped create more than 40 projections. 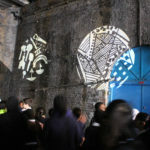 These run along Carlisle Lane and Westminster Bridge Road, transforming once dingy underpasses into bold, abstract timelines. 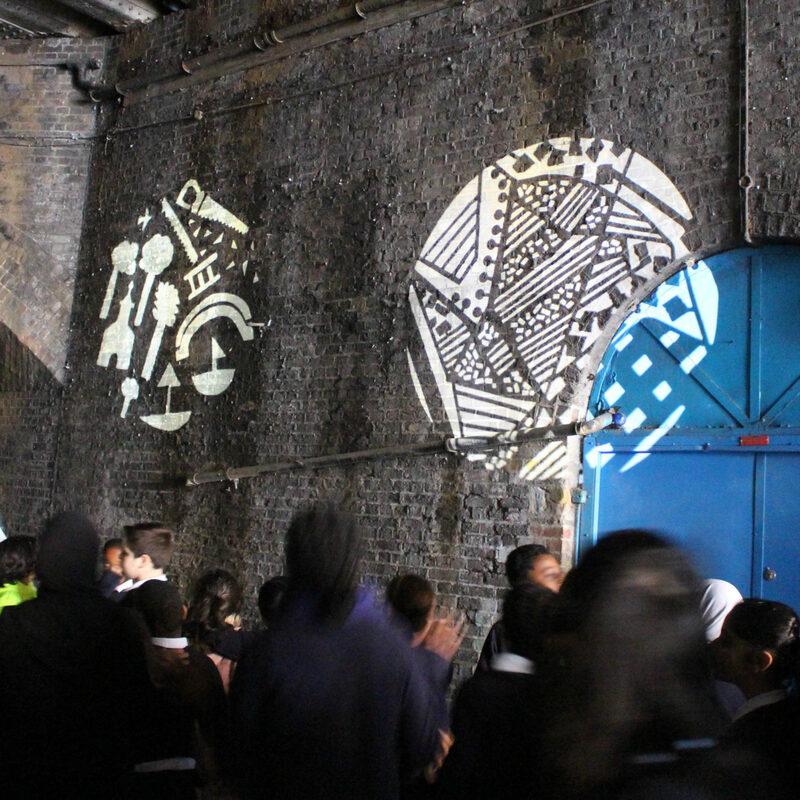 We also worked with local schools to develop artwork for 48 new street lamps along Brick Lane. Taking inspiration from four local cultural eras we ran three co-design workshops with schools in the area. 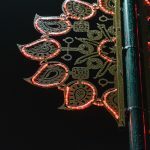 These designs were then used on the base of the lamp posts, and five illuminated metal disks that are fitted to the top of each of the posts. They even made a star appearance alongside Nadia from GBBO! 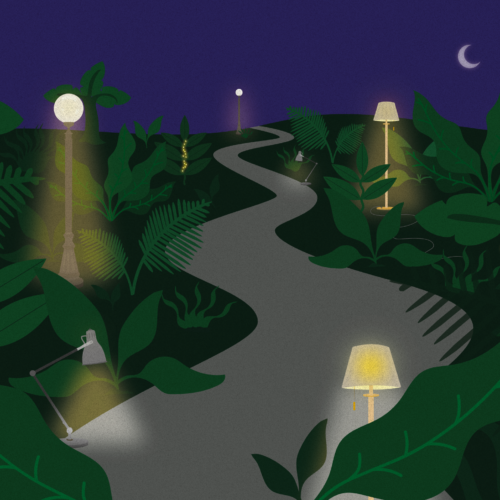 So what are your favourite examples of street lighting? Tell us on Twitter.